We spent one of the last days of March in Paris — just walking around and occasionally stopping for tiny $4 coffees. 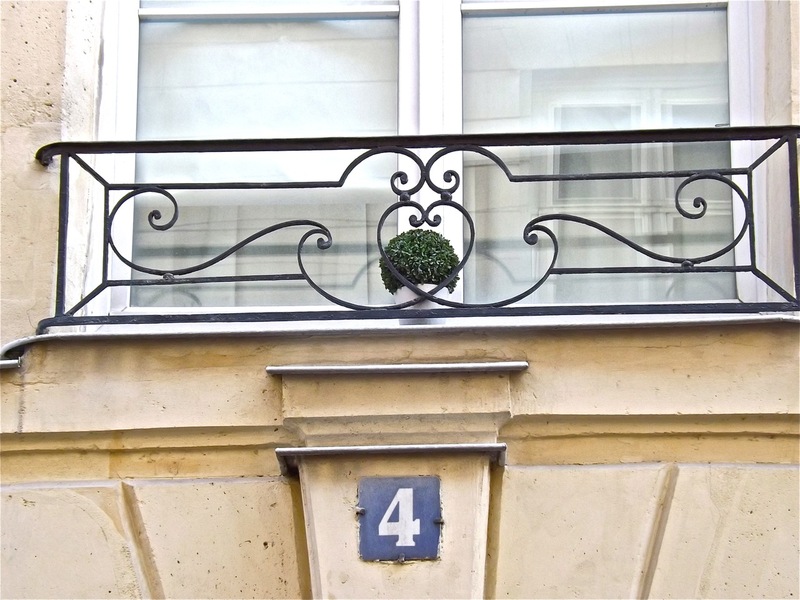 We spotted this tres discret window decoration in the chic Saint Germain des Pres neighborhood. The little topiary pots were in several windows across the building. 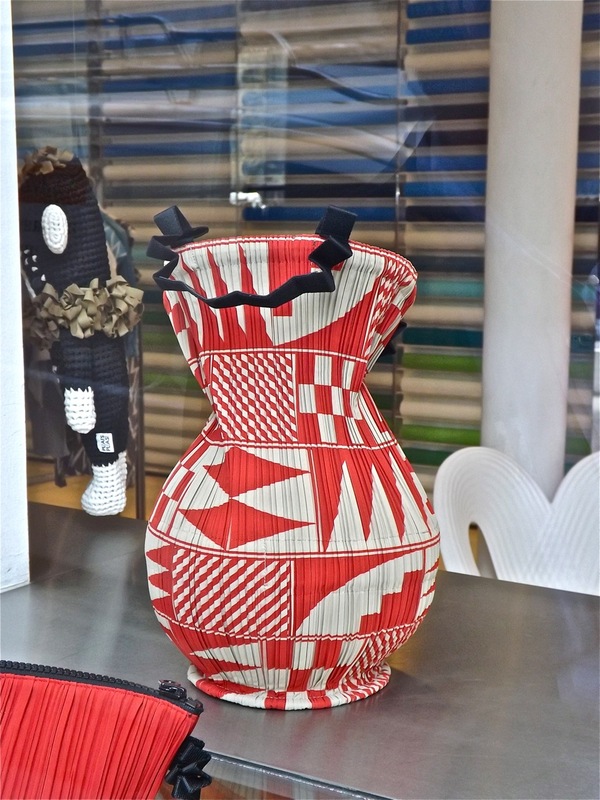 This pleated bag, below, in the window of Pleats Please Issey Miyake made me think of this previous Wordless Wednesday. 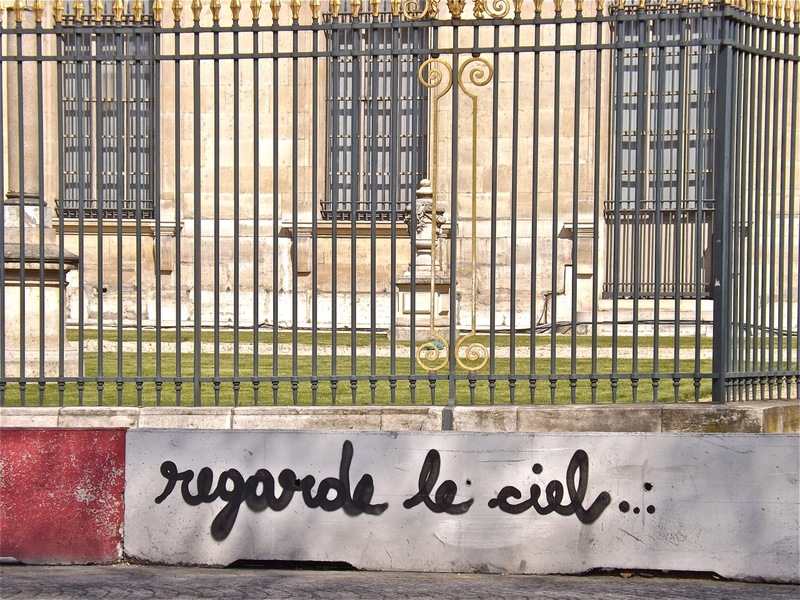 We crossed over to the right bank, and I saw this graffiti alongside the Louvre. However, there seems to be a Romanian connection, as another common version of the graffiti is ‘priveste cerul,’ (look at the sky in Romanian). 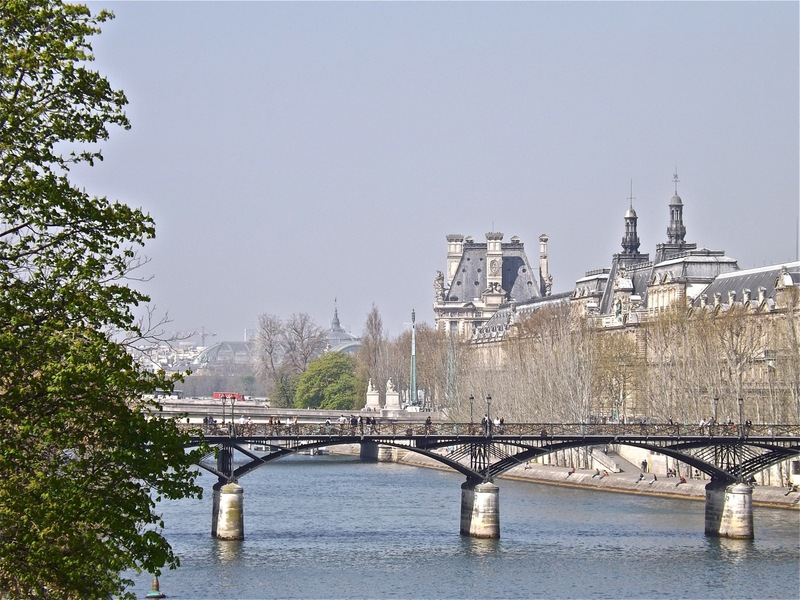 At any rate, the sky was just about perfect, as you can see from this photo of the Passerelle des Arts. 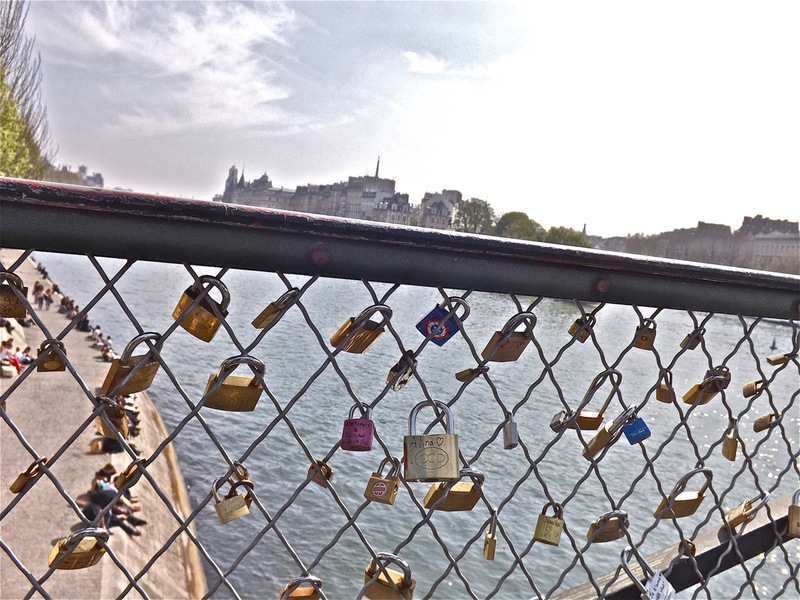 If you click and enlarge it, you can see how the bridge glitters from hundreds of padlocks or ‘lovelocks’ (we also saw the beginning of this fad on a pedestrian bridge in Lyon). Since this was Paris, I probably should throw in a restaurant recommendation. We ate dinner that night at the wonderful Café Constant, which is owned by “Top Chef” jury member Christian Constant. 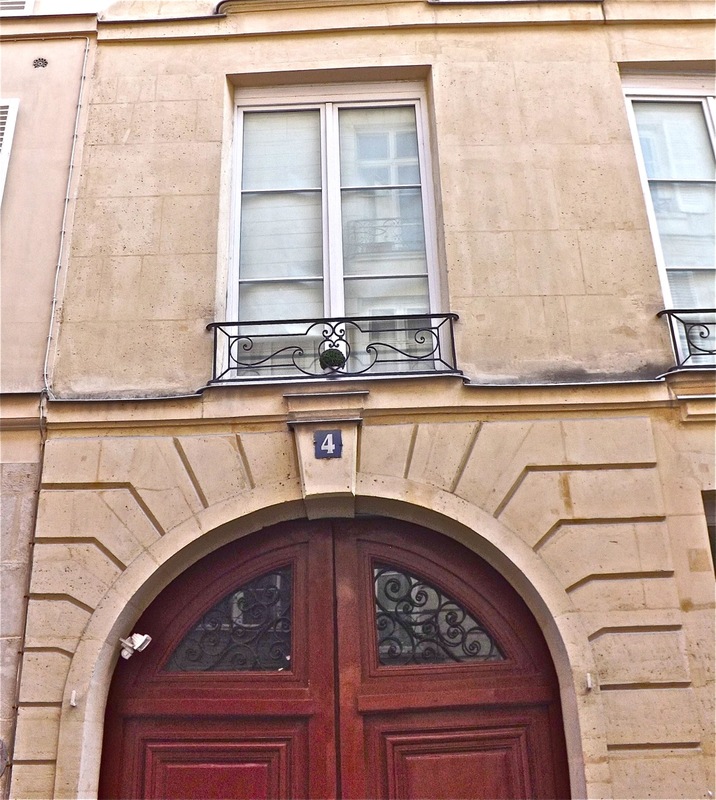 Located at 135, rue Saint Dominique, in the neighborhood near the Eiffel Tower, it is the first in a row of three restaurants owned by Constant, each a little more expensive (we were in the least expensive and most casual). The café doesn’t take reservations, so go early for lunch or dinner.